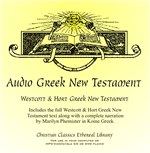 The Audio Greek New Testament contains narration of the entire Westcott & Hort Greek New Testament in Koine Greek, on one MP3 CD. 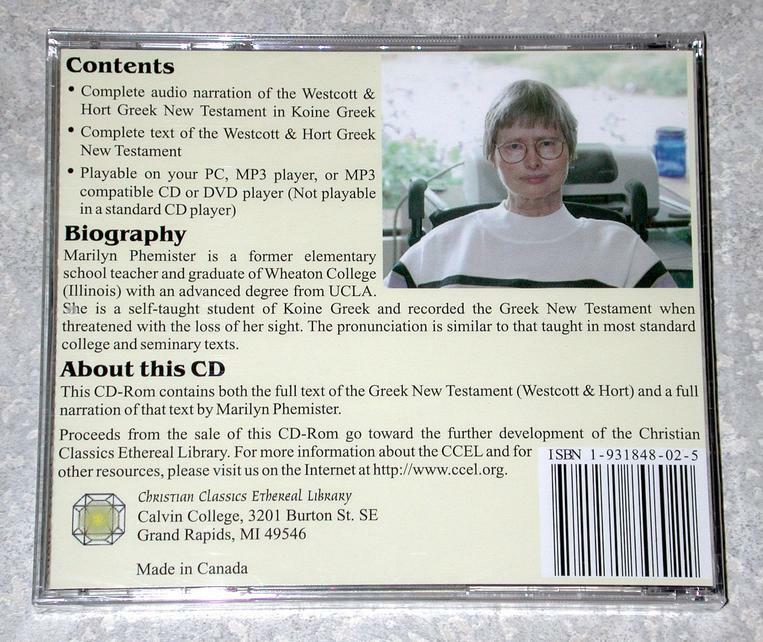 This MP3 CD can be played on an MP3 player, MP3-compatible CD/DVD player, or computer. Your purchase of this item helps fund the further development of the Christian Classics Ethereal Library. MP3 CD Compatibility: The MP3 CD is compatible with Microsoft Windows, Macintosh, Linux, and just about any PC with a CD-ROM drive and a Web browser. 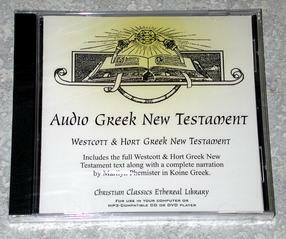 To view the included print text of the Westcott & Hort New Testament on a computer, a Web browser such as Internet Explorer or Firefox is required. This CD-ROM also works on MP3 players and MP3-compatible CD/DVD players.